This is easily my favorite game for the iPad 2 before I beat the game (twice) and ended up at level 97. Since then I have gotten bored replaying it and have not got into the multi-player arena version. 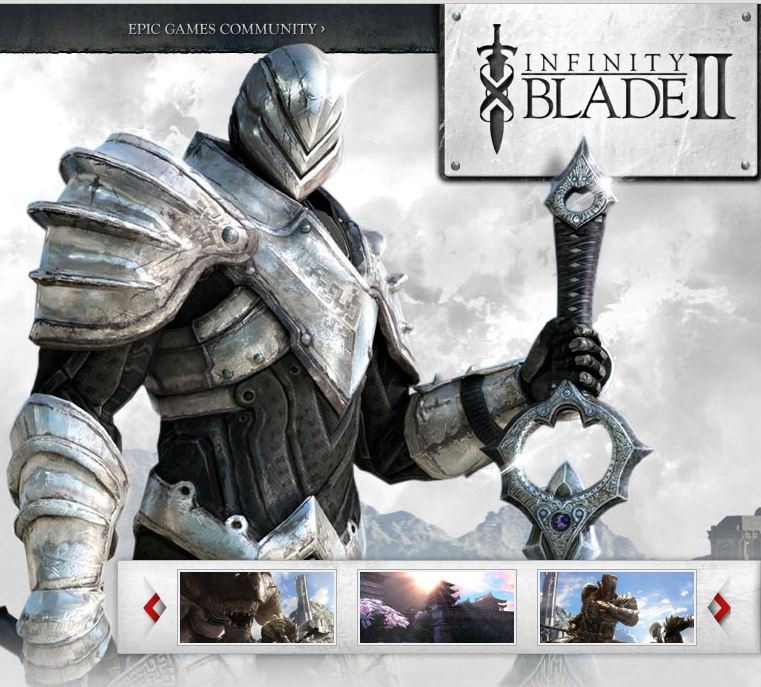 There is good news however coming from the Apple iPhone 5 4S event today and that is Infinity Blade will be back with a new version this December 1st 2011 with Infinity Blade 2 the Sequel! Infinity Blade, which is created by Epic games was on hand to show of the iPhone 5 4S dual core A5 processor and the up to 7 times greater graphics. Just like the first version of Infinity Blade amazing graphics and the second version has been able to surpass benchmark and create a game that I think will be unparalleled by any other for iOS. They have given us a small trailer to wet our appetites and make December that much harder to wait for. No pricing has been given but honestly, who cares. This game will be worth the price. Check out the trailer and drop some comments on what you did or didn’t like about the first one. I read their forums and has anyone been able to defeat the Godless King with the wooden sword? It’s all I can do to beat him with the Infinity Blade! Don’t miss the two handed sword play in the trailer!! Why would you want to play any game on a 3″ screen. @BRYAN B: Yeah, totally agree that the game play on the iPhone is only limited by the size of the retina screen. However the retina screen does a great job and the A4 kicked some serious tail. The iPhone currently will stream the game play from the iPhone to an HD screen. I have done it on my 42 inch HD. I however, quit playing any games except word games on my iPhone when I got the iPad 2. Infinity Blade on the iPad 2 is absolutely amazing. I cannot wait for IB2 to come out for iOS. iOS being the iPAd 2 for me!